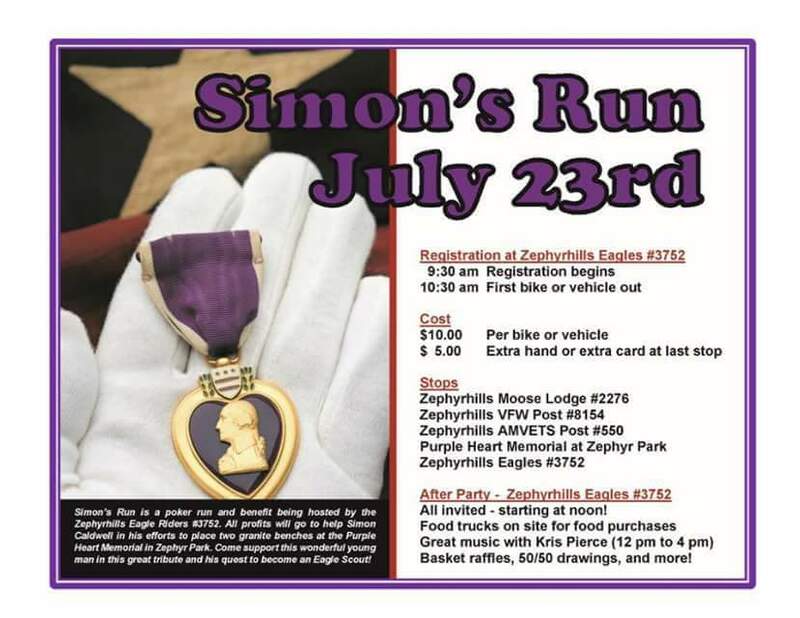 Saturday – July 23rd – A great ride for a great cause!!!! Eagle Riders will meet at our Aerie #3171 by 7:45am. Kickstands up at 8am. Our brothers and sisters at Zephyrhills support our endeavors. .. Let’s show ’em we do it….. Let’s have a great showing!!!! !